As always, life never really stops here at Schodack HQ and lots has been happening since our last round-up last month. As we sneak up on February, we want to let you know about everything that’s been going on behind the scenes. 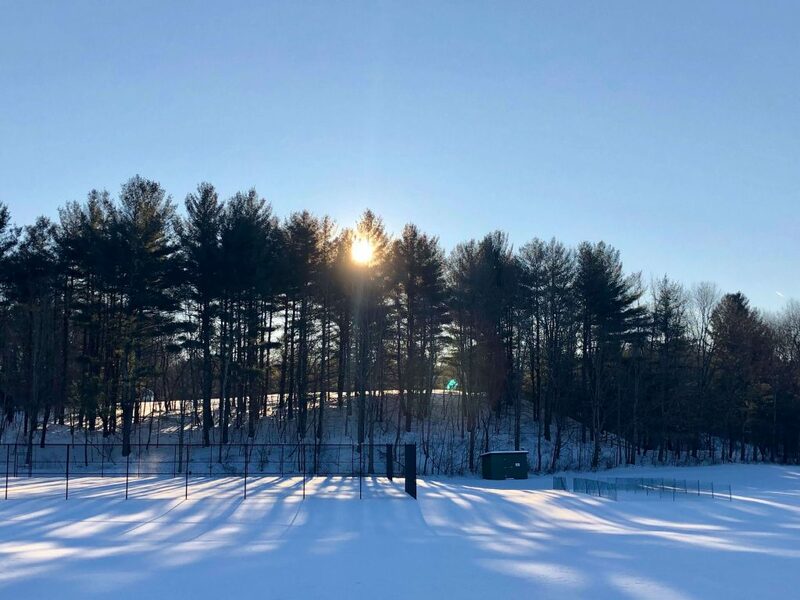 This month’s blog features updates on recent staff recruitment, information about upcoming events happening near you, Schodack in the news, and a feature on some exciting developments taking place at camp right now. So sit back, relax and get ready for your fill of Schodack news! January has been a big month in the world of staff updates here at Schodack. Many of you will have seen the blog posts confirming that Jake Mechanic and Abigail Tubin are coming back to head up the LT Program! 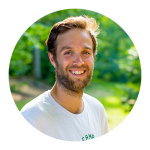 They will be working closely with Owen as the Leadership Trainee Coordinators for 2019. We also announced that Dani Mackay is returning to Schodack after a year away and is going to take on the highly important role of Head Counselor. 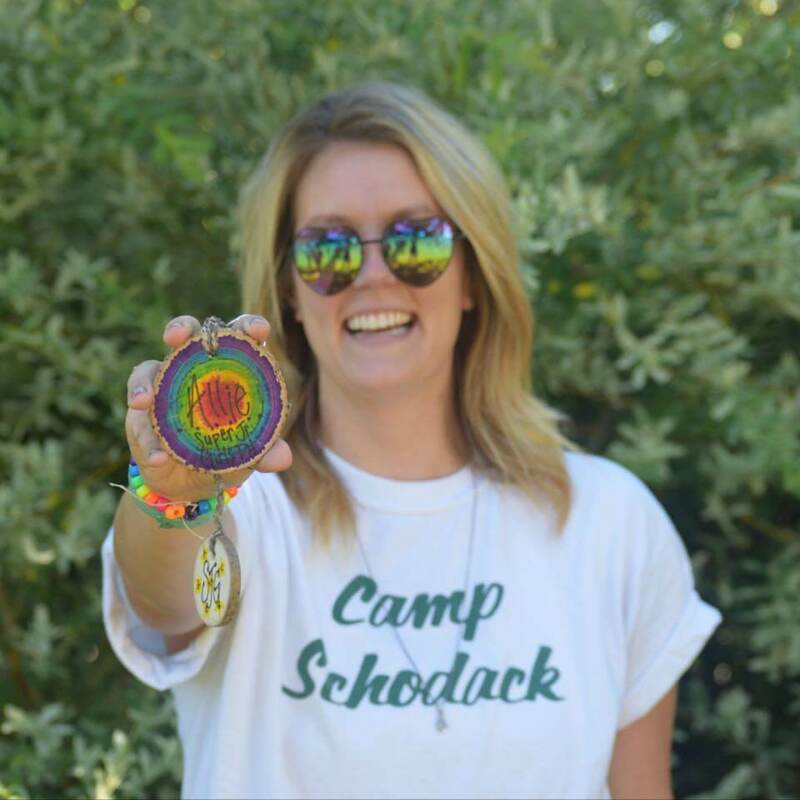 Earlier this week we released our latest blog with the news that long-time Schodack veteran and alumna Rachel Max Lewis is returning to Schodack as Assistant Director of Bunk Life. We are thrilled that Rachel is joining our year-round team and are so glad she has received such a warm welcome already! In other staffing news, one of the exciting things that always takes place at this time of year is the International Recruitment Fairs where we look to hire some of our specialist activity staff, many from the UK and Australia. Owen and Carter attended these and were very impressed by the quality of the staff applying. There will be some brilliant new staff members starting their journey with Schodack this summer! As always we would like to thank those that were able to come and help out at these events, especially Izzy McAree, Ru Shah, Max Walker and Josh Baker. Finally, we are excited to announce another returner to the 12123 this summer. We are so happy that Allie Johnson is returning to Schodack as our Tour Coordinator/Food Liaison!!!! 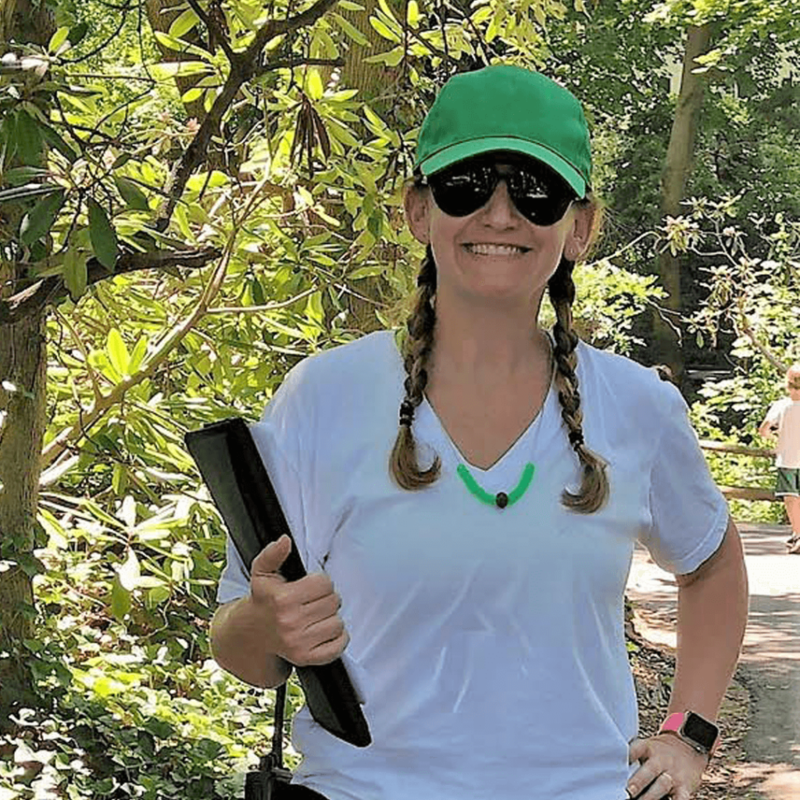 Allie is a full-time teacher in Texas during the year and as Tour Coordinator this summer, she will be one of the first faces that interested families meet when they visit us at camp. She will also be available to assist all our families who have children with special dietary needs. This will be Allie’s 8th Summer at Schodack and we are psyched to have her back! 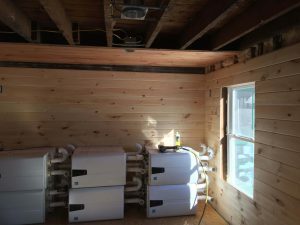 Over the course of the winter there have been a few interesting facility projects taking place at Schodack. But, the most exciting project at the moment is a complete renovation of the Farmhouse. The Farmhouse is an original building to the property, and was where the Krouner’s lived when they first moved to Nassau in 1908. Since then it has taken on a number of functions throughout camp’s history before becoming one of our most beloved bunks on Boys’ Camp (it has the perfect roof for roof ball and the middle “living room” is highly coveted!). 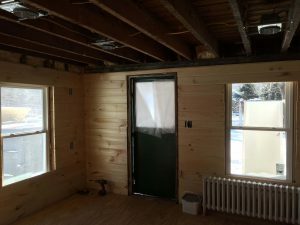 As with all the projects at camp, this renovation has been thoughtfully and carefully planned out, especially considering the history and what this building means to the Schodack property. Fitting our other renovations, beautiful knotty pines walls are being installed along with new ceilings and refurbished hardwood floors. The bathroom is getting a complete makeover and the middle room’s layout is being improved. But we’ve made sure to keep the original charm too…immediately when you enter the building, a unique section of wood from the original interior of the building is being framed into the current wall, preserved as a wonderful reminder of the building’s history. We can’t wait for everyone to see it! 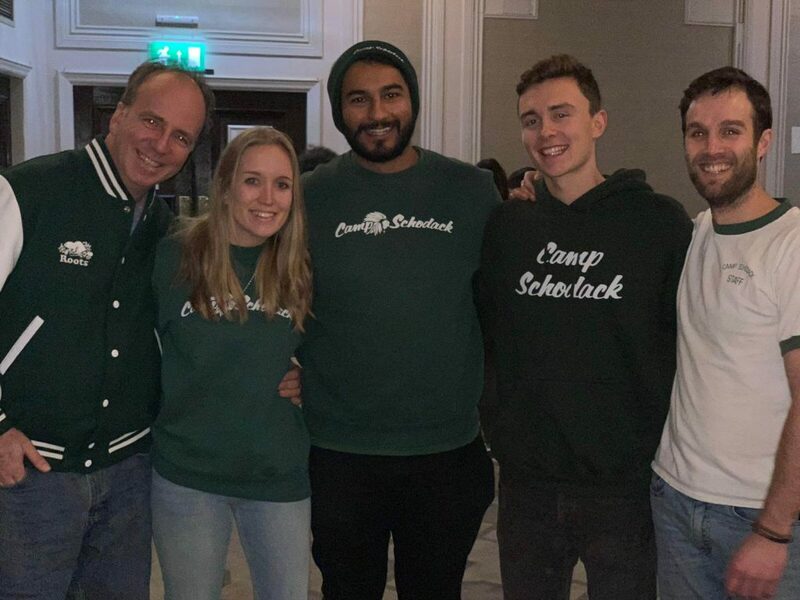 Another great example of Schodack being in the news was when two Schodack Alumni (Ben & Nikki Kaufman) opened a store in Manhattan called ‘CAMP‘. It is the first store of its kind and is a truly unique experience. It is located in the Flat Iron building and features many camp favorites such as a s’mores station, camp activities, arts & craft and more. You can read all about it by visiting their website HERE. 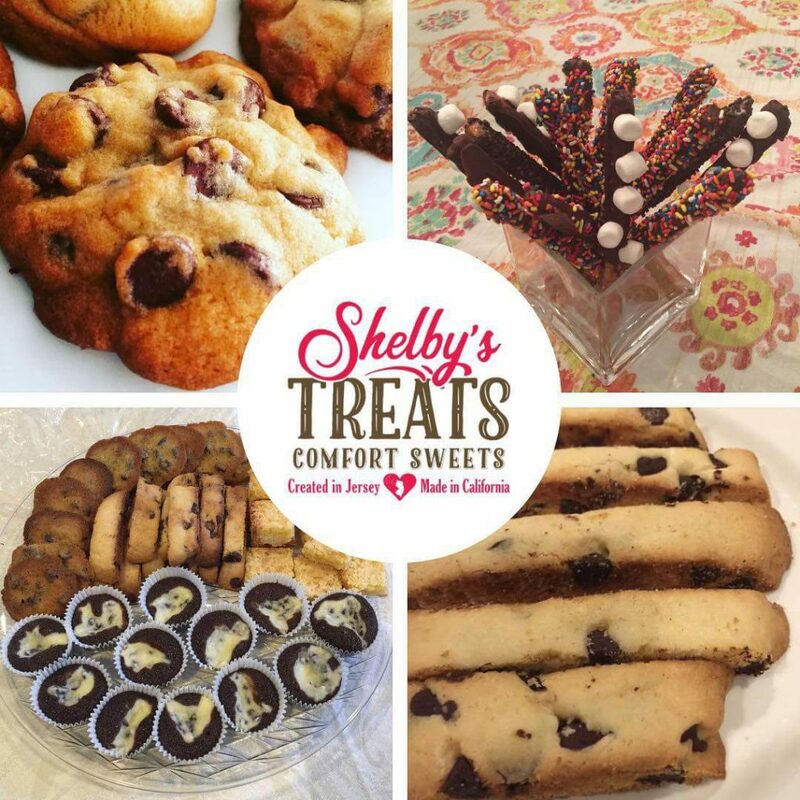 Shelby has been baking sweet treats for friends and family for years and after loads of rave reviews and requests from friends, Shelby has decided to open her kitchen to the public. Fresh baked and delivered straight to your home, office, party, or event! So much has happened since our Winter Reunion back in December, so we are very excited to have some great events on the horizon. We have Meet & Greets taking place beginning in February and we hope to see lots of you when we are in your town! The first takes place on February 10th in Manhattan, followed by March 2nd in New Jersey and then April 27th in Westchester. More details for each event can be found on the poster below. 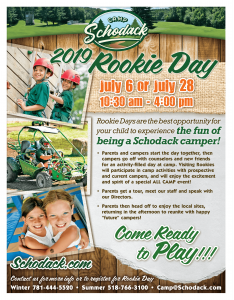 We have also now released the date for Rookie Day 2019! 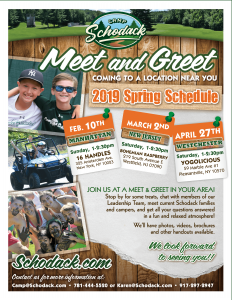 Many of you had your first taste of Schodack at one of our past Rookie Days and we cannot wait to welcome a whole new generation of campers at this years. 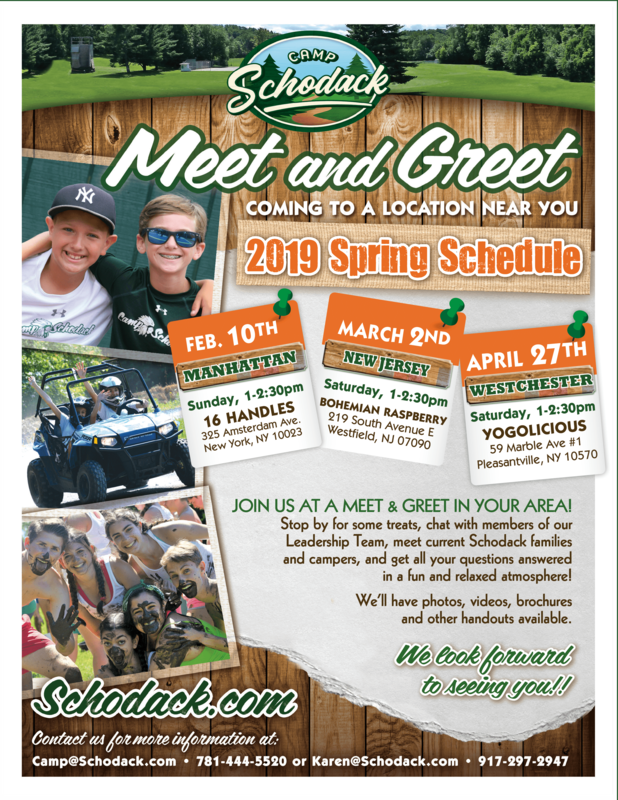 Pass this along to anyone that is interested in visiting Schodack! More details can be found on the poster below. As always we love to her from our Schodack family all throughout the year and we want to know what you have been doing. Holding your own mini-reunion? Send us a pic! Have you achieved something amazing at school? We want to hear about it! Let us know about everything that is going on by emailing carter@schodack.com. Who knows, maybe you’ll get a mention in our next big round-up!